Bhutan, The Land of the Thunder Dragon. The Hidden Shangrila .The Roof of the World. No travel destination on earth is more remote—or more beautiful—to explore the countryside than Bhutan. Nestled in the high Himalayas, this tiny kingdom fiercely protects its traditional ways of life, and guards its isolation like no other country (Bhutan had no roads until 1962, and no television until 1999). This unique tour offers the rare chance to discover a secret world, explore ancient monasteries, and experience pristine Buddhist culture as it has existed since time immemorial. Explore ancient monasteries and experience Buddhist culture in its most ancient, unadulterated form. The Bhutanese landscape consists of dense forests, shimmering glaciers, and crystalline rivers flowing through lush green meadows. 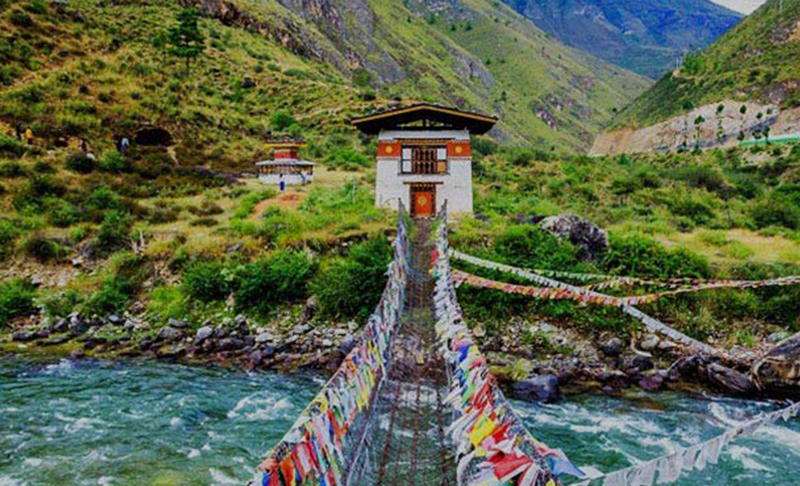 If you've always wanted to journey to the ends of the earth, there can be no doubt that Bhutan is that place. Destination Covered : Paro - Thimphu - Phobjikha - Bumthang - Punakha. The flight into Bhutan takes you close to the great Himalayas, offering dazzling scenic views of some of the world’s highest glacial peaks. As you enter Paro valley, you will sweep past forested hills with the silvery Pa Chu (Paro river) meandering down the valley below. Paro Dzong (fortress) and Ta Dzong (watchtower) on the hills above the town will be a fine sight. 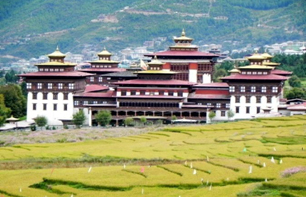 Our representative will receive you and will drive to Thimphu with sightseeing along the way. Drive towards the capital city, Thimphu. 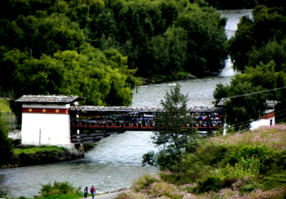 Stop at Tachoggang and visit the temple and the bridge built by handmade iron chain. Free to explore at Thimphu. Overnight at Hotel in Thimphu/Homestay. Drive via Dochu-la pass (3,088m/10,130ft) stopping briefly here to take in the view and admire the 108 chortens, mani wall, and prayer flags which decorate the highest point on the road. If skies are clear, the high Himalayan peaks towards the north east will be revealed in all their glory. On a clear day, the following peaks can be seen from this pass (left to right): Masagang (7,158m), Tsendegang (6,960m), Terigang (7,060m), Jejegangphugang (7,158m), Kangphugang (7,170m), Zongaphugang (7,060m) a table mountain that dominates the isolated region of Lunana, and finally, Gangkar Puensum, the highest peak in Bhutan at 7,497m. On the way stop at Punakha/Nobding for Lunch. After Lunch, proceed to Phobjikha, one of the most pleasant glacial valleys in Bhutan. The most beautiful and shortest of the existing nature trails in Bhutan. The trail hike starts from the Mani (like Chhorten) stone wall to the north of the Gangtey Gonpa and ends in Khewa Lhakhang. The hike takes about 1hr 30minutes through the pine forest and small bamboo plants. You can see the Phobjkha valley so beautifully from this hike. It is one of the best hike places for the Nature lovers. During the winter months, we can see the endangered species of birds – Black Neck Cranes. Rest of the day at leisure- explore the valley or soak yourself in a traditional hot stone bath! We will visit striking Gangtey Gompa (Monastery), the only Nyingmapa monastery in western Bhutan. Following a brief stop at Chendebji Chorten, which according to belief was built to cover the remains of a demon spirit, you will carry on to what was the original home of the royal family. Upon reaching Trongsa you may take time to stroll this quaint village and official business permitting, perhaps visit the Trongsa Dzong, ancestral home to Bhutan’s monarch where you will often find novice monks reciting mantras or practicing on sacred horns, flutes or drums. Then visit Ta Dzong on the hillside above the town, built as a watchtower to guard Trongsa Dzong. The drive onward to Bumthang takes you over the picturesque Yotong La and down into the Chumey Valley, home of Bhutan’s famous Yatra weaving. Overnight at Hotel in Bumthang/|Homestay. Bumthang is the general name given to a group of four valleys – Chumey, Choekhor, Tang and Ura, with altitudes varying from 2,600 to 4,000m (8,530-13,125ft). This area is home to many ancient Buddhist temples and monasteries. You start to visit Choekhor valley, approximately 1 ½ hrs drive from the lodge. You have choice to further explore our neighboring palace, Wangdichhoeling, home to the 2nd King, and the auspicious prayer wheels next door. Heading up valley, you will take in the grand Kurje Lhakhang, one of the most sacred places in the kingdom as Bhutan’s “patron saint”, Guru Rinpoche (Padmasambhava) meditated here. From Kurje monastery, a tarmac road heads south along the right bank of the river to Jambey Lhakhang. This temple, erected by the Tibetan king Songtsen Gampo in the 7th century, is one of the two oldest in Bhutan (the other being Kyichu Lhakhang in Paro). After lunch, we will visit Tamshing Lhakhang, founded in 1501 by Pema Lingpa. It contains interesting and ancient Buddhist wall paintings. Later on we will visit Jakar Dzong, “the castle of the white bird”, then take a stroll through Bumthang’s market area before returning to the lodge. Today you will explore further in Bumthang district with an excursion the stunningly beautiful Tang Valley. This seldom visited valley offers a treat in revealing some off the beaten track Lhakhang and monasteries, and the amazing museum at Ugyen Chhoeling Palace. A short hike takes you up to this well maintained Palace and it cultural treasures inside. Along way you will stop for a traditional picnic with breathtaking views of the pristine surroundings. Way back, just below the main road junction visit Tang Mebartsho (Burning lake), where the Terton Pema Lingpa, the reincarnation of Padmasambhava, is supposed to have discovered religious treasure in the 12th century. This lake is very sacred and is visited by many Bhutanese during auspicious days to offer butter lamps. The important of the site is indicated by the extensive array of prayer flags and is considered as one of the most holy places for Buddhist pilgrimage. After Breakfast proceed to Punakha. Today’s journey back to Punakha will be a lengthy one, taking lunch en route. We will then drive on through the mountains. Today, after Breakfast in the morning we can begin the day with hike up through fields of rice along the banks of the Mo Chhu to the upper end of the valley to the Khamsum Yulley Namgyal Chorten, a stunning monument recently built by the Queens and consecrated in 1999. OR Visit Wolakha Nunnery located on top of a hill, spectacular view from the hill. OR drive straight to Thimphu and spend time in Thimphu. In the morning, take an excursion to Taktsang Monastery. It is believed that Guru Rinpoche, founding father of the Bhutanese form of Mahayana Buddhism, arrived here on the back of a tigress and meditated at this monastery. We can spend the Day at Paro Taktshang, if possible light some butter lamps with good aspiration to benefit all sentient being and for your well being~ body and mind. See off from Paro international Airport.